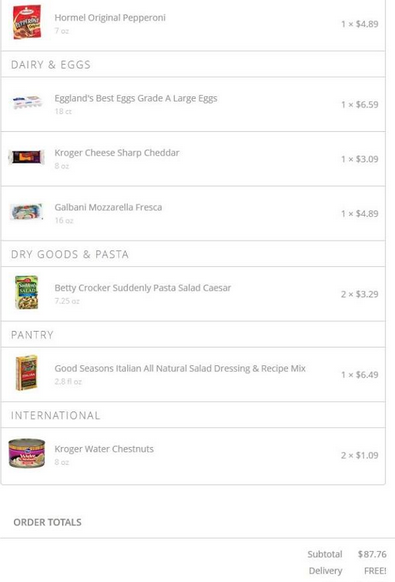 "...the service allows you to select grocery items from multiple stores and have them delivered in an hour for $5.99 on orders above $35. 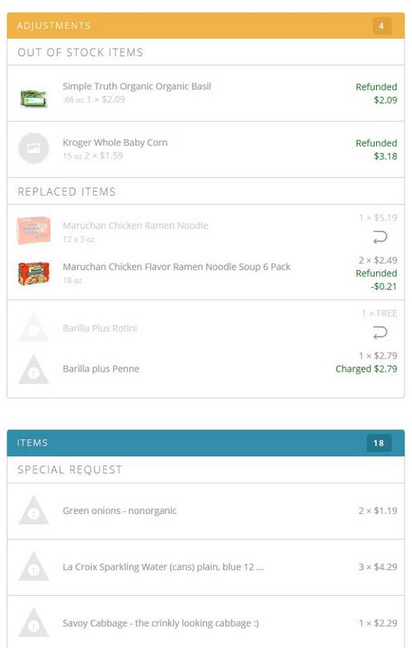 Currently in Atlanta, you can order from Kroger or Costco and your first Instacart order (over $10) is delivered free." The announcement triggered some excitement on Facebook, in particular wistful references to now defunct Webvan and Publix's Curbside Delivery. 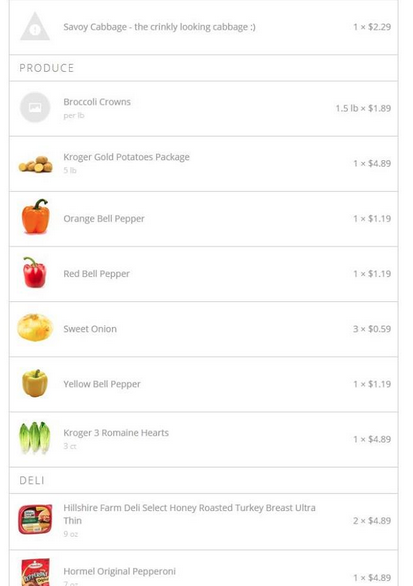 So what are our grocery delivery options? Neighbor Blair mentioned Nature's Garden Express (a Tucker company that delivers organic produce and local groceries). Rise 'N Shine Organic Farm's CSA delivers year-round farm-fresh veggies and eggs (and when available, meats) to the North Decatur Presbyterian church--not quite door-to-door but pretty close. As nearby commercial properties develop and aggressive competition over our grocery dollars continues, it is likely we will eventually see additional delivery options (e.g., Walmart offers a pick up/delivery service in some areas, and Amazon is experimenting with deliveries in the west coast. Dare we dream of deliveries from Your DeKalb Farmers Market?). App screen capture. Click to enlarge. I just got the app and placed an order to see how I like the service. I really, really miss Publix Curbside. It kept me from a ton of impulse buys. Order should be delivered between 1:30 and 2:30. Will let you know how it goes. Did a variety of dry goods and produce. Also, you can order from Costco without a membership. So my dude just called with some substitutions. Called back for another set. Expecting to order to arrive shortly. Prices on some items are totally reasonable, utterly ridiculous on others, though. Not sure I will use again although they did give me some lovely reusable shopping bags (that are HUGE) and the delivery person gave me his personal promo code for 5$ off. The produce that they selected for me is just fine. Thanks for the research, Marja! Additional screen captures after the jump.